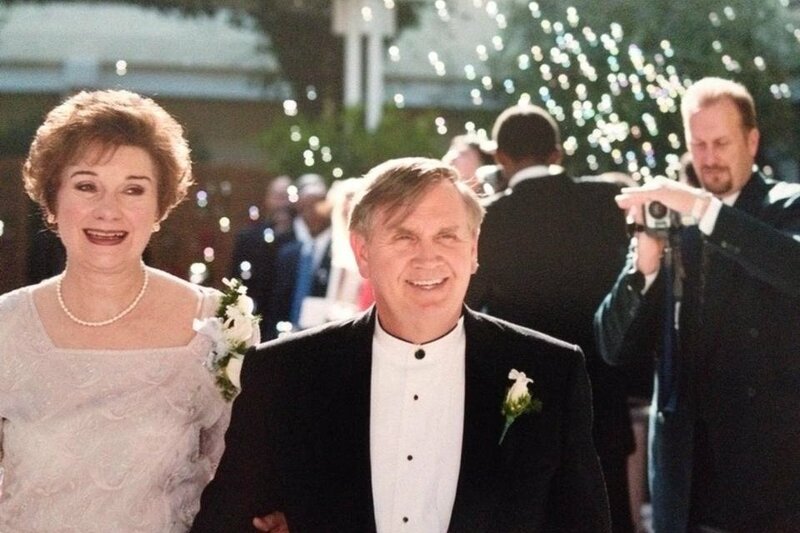 Our Dad, the most wonderful, caring, giving person we know lost his eyesight about 20 yrs ago due to complications with diabetes. He has had many struggles in life from polio, to diabetes and losing his eyesight. He has had to miss out on so many events due to not being able to see. But now we can give him the gift of sight! 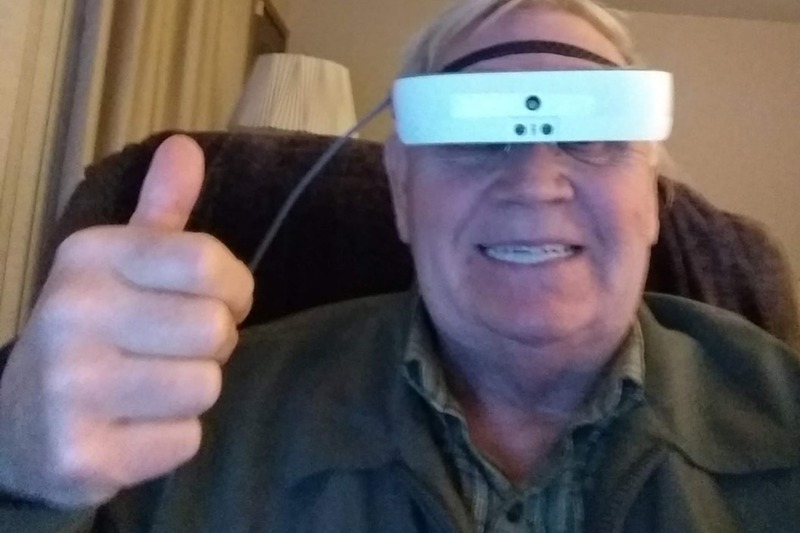 We found these esight glasses that help people with low vision and give them sight again! He tried them and they work great! He is able to see things that he hasn't been able to. Unfortunately they cost almost $10,000. So with your help we can give our dad his eyesight back. Please help by donating and sharing this so that we can reach many people in order to get him these as quickly as possible. This would be the best Christmas gift ever! See the link below on how they work. Hello everyone. Thank you so much for all of your support. We have found another vendor that offers glasses at a 3rd of the price. Patriot Vision. Dad gave them a try and he really likes them. The are around $3000. We still need to raise several hundred more to purchase them. we appreciate everyone that has donated so far to make this possible. 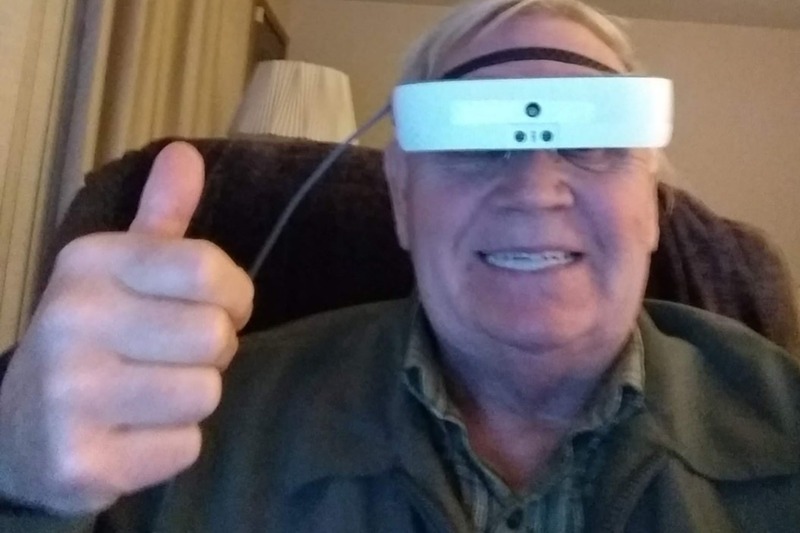 Update: My Dad has the esight glasses on a trial basis (15 days). I was there to witness how awesome they are. He is working with a coach on how to use them. I held up a card 5 feet from him with different size letters and with the glasses he was able to see ALL of the letters. Without them he could only see the biggest letter at the top. His coach said that was 20/20! He was able to sit on the couch with us and watch a movie. He used to have to sit directly in front of the TV to be able to see it. These glasses are a life changer for him and us. Unfortunately this technology is to new and insurance won't cover any of it. So thank you to all that have donated. Your support is greatly appreciated!